The Second Story is a team of churches working together to find a family for every child in North Texas. Children lingering in foster care may drift from placement to placement as they wait, often many years, for a forever family. Children without families live a story of isolation, grief and hopelessness. We want to give them a new story, a second story. A story filled with hope and restoration. Our vision is a safe and stable home for every child. You can be a part of making this vision a reality. Embrace holds a unique Memorandum of Understanding with Child Protective Services that allows our staff and certified Second Story volunteers the incredible opportunity to advocate for specific children in foster care and help find forever families for each precious child. For more information on how The Second Story initiative works, see the tabs below or click on your county or area’s section to the right. For additional information about becoming a foster or adoptive parent in Texas and to meet some of the children waiting for adoption, visit the Texas Adoption Resource Exchange. Click HERE to sponsor a child for the upcoming Child to Family Connection. Click HERE to register as a prospective adoptive family for the Child to Family Connection. Click your county below to find out how your church can participate! The Second Story in Collin County is led by partner churches of the Embrace Church Network! Contact denise@embracetexas.org to learn more and CLICK HERE to join ECN and get started! Ohana Ministries is currently developing a child-specific recruitment initiative in Dallas & Ellis Counties! CLICK HERE for more info! Join Hope Fort Worth to partner in the Second Story initiative in Tarrant, Johnson, Somervell, Hood, Erath, Parker, and Palo Pinto counties! CLICK HERE for more info! Don't see your county? Contact us and learn how to find families for the children in your area! When a child is adopted, the church maintains communication and support with all parties, including the adoptive family, for 6 months or beyond. When the church it ready, a new child may be assigned to their team. What are adoption "match" events? Match events are an effort to connect prospective adoptive parents with children waiting for adoption. At traditional match events, children are present and prospective parents interact directly with the children in a carnival or party setting. Second Story “Child to Family Connection” events vary from traditional match events in several ways. Instead of appearing in person, each child is represented with a beautiful display table specifically tailored to that child’s interests, hobbies and dreams. Portraits of each child and a video, when available, are also on each table. The child’s caseworker, attorney ad item, and/or CASA are available to share their child’s story and answer any questions prospective parents may have. These conversations aren’t possible or appropriate when children are present. Child to Family Connection offer an engaging program including a panel of adoptive parents and adult adoptees. Churches come together to host the event, provide volunteers and to sponsor children’s display tables. Licensed foster and adoptive families have the opportunity to learn about each child and submit their home study for the children they are interested in adopting while prospective foster and adoptive families participate in an orientation regarding the licensing process prior to learning more about each child. Child Placing Agencies (CPAs) are also available to work with families and encourage matches between children and families. These inspiring events are helping find forever families for adoptive children, while maintaining the dignity of all parties. Let us know how your church would like to be involved! What happens when a child isn't adopted? Each year over 300 teens “age-out” of foster care in our region without an adoptive family. Children who are involved in the Second Story program benefit from the safety net their church provides. In these instances, needs like temporary housing, ongoing and secondary education, employment, transportation, and mentoring are all vital supports to prevent incarceration, homelessness, trafficking, or unplanned pregnancy which can lead to repeating the cycle of trauma these individuals suffered from as children. Click here to learn more about how your church can care for young adults transitioning out of foster care. What if my church isn't in North Texas? Embrace can work with your church or ministry to develop a similar initiative in your community. We pilot programs in our little corner of Texas, then happily pass on the blueprints and best practices we develop to others. Let us know how we can help. Emanuel goes by “Manny” and it suits him very well. He is a sweet and friendly boy who loves to play with blocks, watch cartoons, and play games on his tablet to help him learn letters, colors and shapes. He is eager to help when he’s given a task. He loves animals and enjoys petting the small dog in the home. Manny is diagnosed on the Autism Spectrum. He sets some limits to physical touch but, once familiar, gives amazing hugs. His smile lights up the room. Manny has been in speech therapy and just recently said his first full sentence. Manny also enjoys being outside and is excited when an adult will go for a walk with him. Change and transition can be difficult for him. He responds well to consistency and structure. He may need extra support and reassurance during big transitions, such as moving. Contact Jillian Locke to submit your home study. Alex is a beautiful 12-year-old girl. She can be quiet and reserved upon meeting new people. However, she will open up once she gets to know you and is talkative and friendly. She is a bright child who enjoys art (coloring and crafts), playing Minecraft and other games on her tablet. She enjoys spending time outdoors and likes riding her bike and jumping on the trampoline. She participated in gymnastics recently and really enjoyed tumbling. She attends an after school program and enjoys playing with her friends. She has a strong personality and will not hesitate to say what is on her mind. She has been through many hardships and is very resilient and a survivor! She can be inattentive and struggles with oppositional defiance but is making an effort to work on behavioral issues. Contact Veronica Klement to submit your home study. Olivia enjoys school, is fun and energetic and has a great sense of humor. She gets along well with the other children and her teachers. If you asked, her favorite subject would be recess, but then she would say, “No, really. I like art.” She still enjoys playing with dolls and is a typical 8-year-old girl. She likes to laugh and be silly. She likes going to new places and trying new foods. She loves strawberry lemonade! A “forever home” for Olivia would be one that is stable and consistent. It would have appropriate and clear consequences. It would be a home that would provide love and encouragement to allow her to grow into a respectful and responsible young lady. Sophia is a seventh grader and enjoys school. Her favorite subject is science. She loves music and art. She was in a performance this summer and was thrilled because she had both a speaking and singing part. She will likely end up joining the ranks of Julia Child and the Barefoot Contessa because cooking is her passion. She thinks she would eventually like to go to culinary school and become a chef. She is currently receiving therapy and will need to continue in her adoptive home. She will thrive in a home environment that is high in nurturing and trust. She is delightful to be with. She enjoys going out to dinner and trying new things. She is currently in a foster home with her two sisters. Her younger brother lives in a different home. Ideally, she wants to live in a “forever home” with all her siblings. Her requirements for an adoptive family are not complicated. She wants a “mom and dad” who will love and support her, parents who will provide a safe and secure home environment and who will help her grow into a respectful, responsible young lady. Cynthia celebrated her 13th birthday this summer! She loves school and is most interested in science and history. She likes video games, like any other 13-year-old. She enjoys music, especially Pink. She would like to participate in extracurricular activities and would like to join a soccer team as she enjoys athletics and likes being outside. She loves to laugh and has a great sense of humor. She is quick witted and she likes to joke and tease. She is very protective and “motherly” to her younger siblings. She has assumed the mother role out of necessity and because of her sense of responsibility. It is important that the adoptive parents understand the consequences of trauma on brain development. She lives in a foster home with her younger two sisters. Her younger brother, however, lives in a separate foster home. In her “forever home”, Cynthia hopes to be with her two sisters and her brother. She is wishing for parents who will let her be a “normal” teenager, parents who will guide her to be respectful, responsible and always be ready to learn and attempt new things. Contact Justin Claunch to submit your home study. Dakota enjoys the outdoors. He likes basketball, football, and soccer. He loves music and his favorite subjects in school are math and science. He loves the drums and shows lots of ability in that area. He can tap out a great beat! While Dakota can find it hard to connect, he can bond very well with certain adults who spend a lot of time with him. Dakota wants to be adopted and needs some help understanding how to fit into a family. He is bright, athletic, and caring. He wants desperately to have a permanent family. John is small for his age and a little shy at first but warms up quickly. He enjoys playing outside at the park, collecting toy cars, and playing with trains. John likes kickball, soccer, and catch. Due to John’s sensory issues, he likes to touch everything and covers his ears around loud noises. He struggles with changes and requires a structured routine. John is able to make friends and loves animals. He knows his letters and comprehends language when spoken to. He is very affectionate and easily redirected. Contact Ronda Paddock to submit your home study. Christopher has been in foster for 6 years. He is a sweet boy who needs extra support educationally and emotionally. He likes football and video games. Christopher was separated from his foster sister about 3 years ago and that remains an emotional rough spot for him. When he grows up, he would like to be a solider. Christopher has much potential in a home that would be willing to help his character development through extra-curricular activities. Christopher identifies himself as a Christian. Jalin’s main interests are sports, games and clothes. He likes to follow Texas A&M football and baseball. He says he enjoys playing football, soccer and baseball, but he does not feel comfortable enough to play on a team. He mainly likes to just throw a football and baseball around for fun and kick a soccer ball with a friend. Jalin is fast and enjoys running. Jalin says he likes to keep himself in shape. Jalin likes to play games. His favorite video games are sports games and racing games. The board games he likes the most are checkers and monopoly. Jalin has a love for clothes. He likes to look nice no matter what he is doing. Jalin has a lot of energy and a lot of outlets to burn it up. Contact Samuel Bigley to submit your homestudy. Morgan enjoys writing short stories, playing video games, exploring outside and drawing. Morgan is an avid reader and loves movies. Morgan describes herself as a nerd and an anime fan. She loves to draw fan art and write fan fiction novels. Morgan is a good student but she struggles with math. She has a big heart and is kind to animals. Nathan loves to laugh, play with light-up and musical toys, dance to music and spend time with his caregivers. He enjoys being outside with others to watch birds in the garden and take in the sunlight or go for a stroll in the park. Nathan is a very curious and easygoing little guy, and hardly ever is mad or upset unless he loses sight of his caregiver. Nathan is very resilient and has accomplished a lot in his short life. Nathan was unfortunately diagnosed with several medical issues from birth and is working hard to not let that define who he is. Nathan has a chromosomal disorder that affects some of his development of his brain, heart, lungs and bones. Nathan has amazed many people in his life with what he has proved that he can overcome, such as a heart surgery at 3 months old that fixed his heart, and being able to crawl, stand and now walk in the last few months. Nathan still needs some help with eating, and help clearing his lungs, but he is working hard with the help of his caregivers and therapists to make progress with this too. Nathan struggles to learn things as quickly as others, but often will make great progress with patience and practice. Nathan would like to find a family that can help him continue being the best version of himself that he can be! Nathan would function best in a family where there is a full time caregiver parent that can stay with him and help with his progress at an early age. Nathan has made great progress with daily one on one attention and regular medical checkups, and ideally a family would be able to continue in this progress. 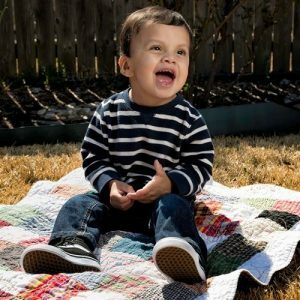 Nathan is diagnosed with Trisomy 8 Mosaicism and requires breathing treatments, G-tube feedings, and frequent physical, speech and occupational therapy, so a family needs to be capable and willing to handle these medical necessities for Nathan and be willing to allow some in-home care for Nathan. Part of Nathan’s diagnosis is that he learns at a slower pace than most of his peers, so a family that is understanding and patient, yet persistent will be ideal for Nathan. These are just a few of the children currently in foster care waiting for adoption. If you would like more information about becoming a foster or adoptive parents in Texas, please visit our information page or attend one of our First Steps or Child to Family Connection events. If you are a licensed adoptive parents and would like to inquire about one of the children featured on this page, please email Nakithia Thompson at nakithia.thomas@dfps.state.tx.us.